Hi folks. I LOVE Affinity Photo, but right now there is a deal killer. I currently use Photoshop for Art creation - not so much photo editing. I already use Affinity Design, and have now found Affinity Photo to be just as intuitive and slick! But. I work by creating a new document, then paste images in as layers. I transform/resize/scale layers until I'm happy then save the image. 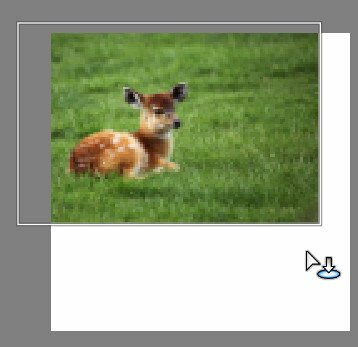 I'm finding with AP, I'm not able to 're-sample' as I scale image layers, meaning images look degraded and often 'jaggy' both on screen and when exported as jpgs. 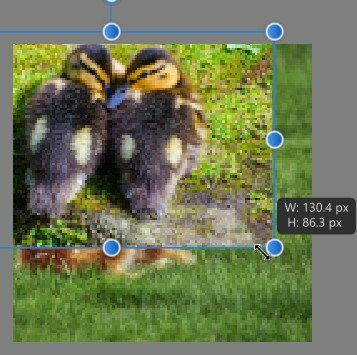 I have read about resize document and resize pixel art - but neither of these are what I need to do - I just need to scale a given layer and have the image look reasonable given there will always be some degradation when mucking about like this. I've also read that re-sampling is done on export - but haven't found this to be the case. Even so, that means for fine touching up, I'm not looking at WYSIWYG. That's the best I can explain, I hope someone gets what I mean, and can tell me of an option I've missed or a workaround or something.. please help, I'm dying to cancel my Creative Cloud subscription!!! It all sounds like they they are just not high enough resolution to start with. 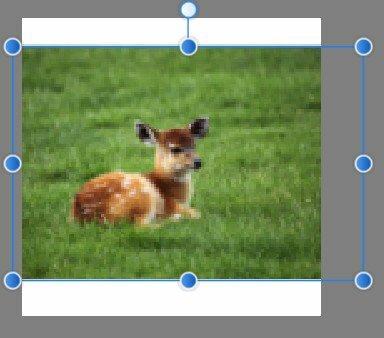 You could improve things (perhaps) by loading each image separately, then upscaling it before you place it in the master document. 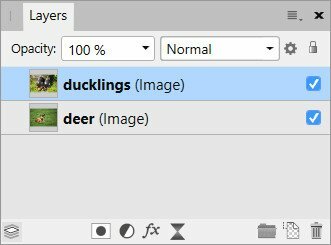 You can drag images directly from the File Explorer (on Windows) or Finder (on Mac) to an existing (opened) document to add them as new layers (they will be placed as Image layers which retain all original image data although you can't edit them at a pixel level). From here you can use the Move Tool to scale them as you wish on canvas. If the image doesn't look good when scaled go to Affinity Photo Preferences, Performance section, and make sure the View Quality dropdown is set to Bilinear (Best Quality) - note this setting only affects the rendering of the image on screen. Finally when exporting you can control the Resample algorithm used from the Resample dropdown. I wonder if its just the case that AP works differently to other editors... and at the moment, not the way I need it too.. darn it! I wonder if this is what I am getting too. I am new and use PS and just purchased AP. I have created a 120x120px page for my web images. I then find the photo I want to use, open it in AP, copy it and paste on the page created. How do I rescale the image to sit on the page using the 120px width. I want to move the image around so that I can work out my crop. Is this even possible in AP as this is one of the main uses for the next few months while I finish off a website. Hoping there is an answer. I'm not sure why you are doing all this copying and pasting? You can then use any of the handles to resize it. Because the image will be bigger than the physical page, that does crop it as you resize it. 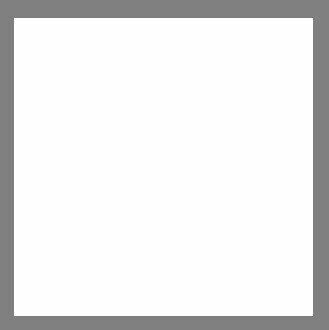 As you can see above from the bounding box, it is being cropped on both edges. There is no need to Flatten it, if you just Export it as a JPEG (File > Export) and it will automatically be flattened. You could use the same page more than once, just keep loading (placing) new images on top of the existing one, before exporting them. They will be loaded as different layers and only the top one will be exported as a JPEG.